Love the wrapping, tea smells very herby, you can see lots of really big leaves after. Thank you for the discount – will buy again. Thank you for the tea and for all your help and advice. I appreciate that you took time to ask me what I wanted to get with this and helped me decide on a healthy diet. The tea tastes mild, I give it a few extra minutes to brew and think it really helps me to get through the day. I was looking for something like that for a while, as most other “slimming teas” have senna and I tried once: never again. Can’t say I saw a massive “slimming” effect after two weeks, but certainly the skin looks great. Probably the amounts of tea I am drinking helped. Not as hugry during lunch, so I imagine two – three months of this will certainly help me lose weight. I really like it. Cons: It’s a little pricey. Especially the first time. I see there’s smaller sample packs now available. Pros: I drink this most mornings around 10. It gives me a real sense of awareness and wakefulness, and kind of chills me out. Not exactly sure how to describe it. It helps me focus on my work, but while being fully engaged I feel less emotional or distressed about it especially when things aren’t going to well which used to have me getting annoyed. I work better and enjoy my day more because of this. Also y skin is pretty clear which I think is due to the natural detoxing. Not really looking at the weight as I bought this for de-stressing. So thumbs up for tjhat. If you’re on the fence, give it a shot and give it a few days to start feeling better. Strong diuretic, just a word of warning for those who are on a timer in work – be prepared. On the other hand it does a wonderful job of debloating. Two dress sizes in a month!!! Superb tea, recommended. I am a serial dieter and tried many brands. This is certainly one of the best. Quality of leaf is superb and you can see the bits of real herbs, now saw dust like in some cheap detoxes. Lovely customer service, contacted me after I ordered all three products amd asked me what my goals were, about my lifestyle and diet and made a recommendation for two bags instead of all three so I ended buying Absolu and Nuit. I am doing 2 fasting days and can definitely say it is so much easier to skip with this tea! No hunger pains, no dizziness, no brain fog. I can work like on a normal day. There is certainly something in it to help with energy. I am a coffee addict and was worried I would have headaches which I always get when I miss my morning shot. Surprisingly this tea wakes me up and keeps me going. Well done! Unusual tea as wrapped in foil. Probably better than bags coz I know tea bags stop some goodness getting through. Smells very nice when you open. Quick delivery and nice packaging. Second day , tea works and is good. Helped me with a lot of gastric and bloating problems and kept my cravings in check. Bit messy with the brewing, but does go a long way, I get 3 strong cups from each tea tablet. Hard to say yet if any improvement but giving it 4 stars for being easy on the palate and I am not a tea drinker. Lots of hype about detoxes so got this as a present from a friend who has been using it for a few months now and she said it works. I have been drinking this tea for a month now and am ordering my second bag! I’ve tried various detoxes but this by far is the best of the lot. No cramps. No dashing to the loo or fear that “I am going to be caught during a meeting”. 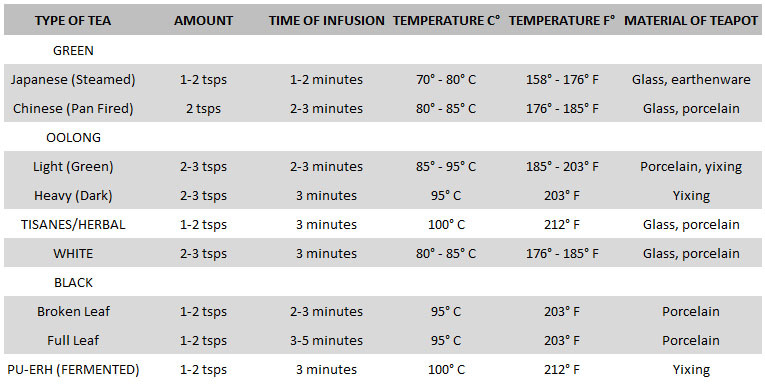 I was careful from the start to not infuse for too long. Now I leave it to steep for up to 30 min, it goes almost cold before I drink it. And after I finish the first steep I just add boiling water (getting my value for the money 🙂 I have no trouble going daily and I’ve lost 5 pounds in a month. Yay! Not a big fan of herbal tea but after reading about the benefits thought I’d give them a try. Much better than I expected. No bitterness or feeling that you drink some dishwater like with some teatoxes. You pay premium and you get what you pay for. Haven’t changed my diet and lost 1lb this week. Bought Absolu Plus for my mum who would not do Bootea with me and she says her feet have stopped swelling up so bad since drinking the tea. I have been using Absolu plus for a week now. Wanted to get rid of bloating before my wedding in two months. I am a bit shocked at the changes that I am seeing! My bloating is reducing slowly, but the most noticeable thing is that my acne is clearing up faster than any treatment I’ve tried before! I did not expect this. My energy levels are improving by the day. Might try Nuit next to help me sleep. So excited!! I could feel so addicted to this it’s that good. Never felt so awake and full of energy. Will see if this delivers any weightloss, it will now be only a bonus to how it worked already. Better than coffee for me. Easy to take, no after taste. Does what it says in terms of detox. Taking them wth the raspberry ketons as ore-holiday detox programme with clean eating and exercise. Been taking this for 3 days now after previously using a senna detox. Appear to be really good. No runs if you know what I mean, but not blocked either. Would recommend. I love it. Excited to be testing it out. I got one of the first final-release sample packs. Find myself quite stimulated mentally during the day. Still had coffee in the morning out of habit but then drank this from 11 onwards. Got 4 soaks out of one tea cake. Had good work progress and just didn’t seem to get phased by anything.